SEO Packages in Pakistan Company Monthly plan cheap rate pricing Best search engine optimization expert and services in Lahore. 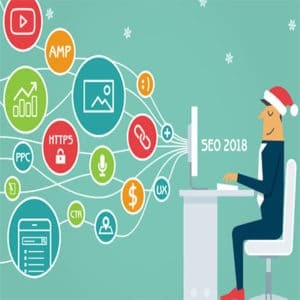 We, here at First Idea Web, a team of SEO Experts, are implementing the different on-page and off-page SEO techniques and strategies by doing manual work without using any automated software. •	Our SEO content lead your page in higher rank and getting more and relevant traffic from Search Engines Optimization. Our expert use effective methodologies to optimize your web code and make it more reliable according. We use ideal internal link that routes on websites to establish information hierarchy that engage traffic to your web..
•	We provide a Quality service to your web page and increase its browsing speed that provide a fast result in order to search..
We provide social media integration that help you as a gold mine to bring all social media traffic to your website. Our Services is to determine your competitor, finalize your position and developing a strategy to creating your place in market..
Our professional use actual keyword that provide a desirable, effective and satisfactory results. Website need some well-known keywords, we assign famous keywords that rank your website on leading pages of search engine. Keywords campaign setup and backlink analysis. Google and mobile usability check. Title tag, Meta tag, content and page heading optimization. Starting at Just PKR, 15,000/ only. Technical and hyperlink analysis detail on weekly basis. Paid search campaign can take you directly on top of the page and engaging traffic on your website. The paid campaign gives you inorganic traffic that is only available when you are on paid campaign. Now, these days’ social media is the biggest source for a business to increase target marketplaces and getting more clients. Therefore, most people have no idea how to target digital market, we will help them by integrating social media. We provide you email marketing facility that promotes your business. Furthermore, we send a well-crafted message to the customer that creates a good impression. Moreover, it will connect with your audience to promote your brand. It involves the creation and sharing of online content such as videos, blogs, and social posts that promote your brand. However, it attracts the people toward your business and gives your audience and traffic. SEO also is known as search engine optimization. SEO means for “search engine optimization.” It is the way toward getting activity from the “free,” “natural,” “article” or “regular” search comes about on search engines. Now we (first idea web development and hosting company) provide best cheap rate best SEO packages (SEO packages Pakistan). Best practice for your site SEO is the point at which you will plan and improve up your site, make your site refresh from all SEO angle e.g. substance, pictures and code to be SEO streamline. Best time to begin your site’s SEO is the point at which your site is recently published with new substance and pictures, utilizing this training SEO Services Company(First idea web) in Pakistan can get signs of improvement positioning. We provide the best SEO packages in Pakistan. However SEO Services Firm in Lahore Pakistan has the capacity to get a currently well plan site find in search engine optimization by applying SEO expert Setup method to enhance their site Content, Meta, Images, URLs and so on. However unique organizations attempting to get their site positioned in Google, yet they are by all accounts non-genuine about their site substance and watchwords thickness and redirection proportion. They just need their site to finish everything except they don’t amend their substance being utilized on site. They burned through cash on site planning and advancement, however, when time to spent on content they got baffled. Later on, this dissatisfaction got changed over into their bothering when their site got influenced by Google. In any case, I just composed this for mindfulness purposes. First idea web development, domain registration and hosting company provides best and cheap rate SEO packages. Search engine optimization packages are for the customers so that they can choose their own. They give a basic approach to customers to contrast bundle offerings with each other, by separating SEO services into a few classes. Lamentably, this isn’t the ideal method for moving toward search engine optimization; for an SEO strategy to be effective, it requires a level of customization which prepackaged offerings are not ready to give. Basically, search engine optimization (SEO) is the way toward streamlining the substance, specialized set-up and reach of your site with the goal that your pages show up at the highest point of an internet searcher result for a particular arrangement of catchphrase terms. Eventually, the objective is to draw in guests to your site when they scan for items, administrations, or data identified with your business. Web optimization can nearly be seen as an arrangement of best practices for well-advanced advertising. It implements the requirement for a very much built and simple to-utilize site, significant and drawing in content, and the believability for different sites and people to prescribe you by connecting to your site or saying it in online networking posts. If you want your site on the top page of Google through search engine optimization, then you can contact us. We will ensure your digital marketing through a search engine optimization. First idea web satisfies to customer from its brilliant work. For SEO expert in Lahore, online marketing in Pakistan, SEO services in Lahore, SEO expert in Lahore, Digital Marketing, advertising agencies in Pakistan you can contact us. First idea web has highly SEO developers. For search engine optimization click on a button. The First idea web development company is providing best cheap rates and customizable best SEO packages in Pakistan and over the globe. The above SEO packages are accommodated illustrative purposes, however in the event that you choose to connect with First idea web, we will deal with building up a custom arrangement particular to your requirements. We will probably make moderateness through effective SEO, and not simply shabby estimating. At the point when an SEO campaign is planned with achievable objectives and practical estimating, it can begin delivering a positive rate of profitability in a sensible measure of time, and soon thereafter the battle can be extended to exploit the well-established framework. In the event that you are searching for a long haul association, connect with us. We will begin a discussion to manage you the correct way, and give you a custom SEO proposition. As it will clear user goal. Moreover, if you want a guide to web development then you are at the best place due to our best services. First idea web company (domain registration and Hosting) provides best web development, web designing, and other relevant services at cheap rate packages. If you want to do digital marketing in Pakistan to enhance your business or rank your site fastly, then you can contact us. Our best SEO experts provide you best guide of search engine optimization. As we are IT, experts, so we can guide you about latest technologies and because of our best services you will choose us again and again from First idea web also provides domain registration and web hosting facilities. The thing that plays important role in search engine optimization is backlinking. The First idea provides cheap rate packages of backlinking. Does good content equal high rankings in Google? Most probably it is not so competitive in Google’s ranking. For a high-quality rank, a website must need high-quality content that provides value to your readers. After this, there is the most important thing that helps to achieve a higher rank is backlinks. How do I know the SEO status of my website? We keep records of all activities that we perform in SEO and making a weekly and monthly report and inform to stakeholder about day to day progress. In addition, we mention every activities, statuses, articles, content reports, linking details, backlink report, spam activities and many more thing in our SEO reports. Can social media integration help me? In this modern era, social media plays a very important role in our daily life. This is the big source of generating organic and inorganic traffic with some social links that help us to promote contents. Do I get penguin and Panda Safe Links? SEO stands for Search engine optimization. It is some professional tricks and methodology that get a page to rank higher in Search engine’s SERP (Search Engine Result Pages). However, it increases an organic traffic to that page. Will you get content without plagiarism? Yes, content without plagiarism is the first priority we have our professional content writer who writes your 100% genuine content. Before publishing, we ensure that content is 100% genuine and free from plagiarism. Is link building is safe for my web? Yes, linking building is totally safe and very helpful to generate traffic. Our professionals make it easier to sort out in search engines. However, generating backlinks is good practice for ranking higher in Google or different search engines.